It’s just one month to go until BBC Music Introducing LIVE comes to London’s Tobacco Dock for three days of talks, panels, performances, masterclasses and more, to inspire 15,000 future music industry leaders. Meet the biggest names in the industry, from brands, record labels, streaming services, as well as artists and BBC DJs and producers for careers guidance, insider knowledge and invaluable advice for taking those next steps. What’s more, BBC Radio 1, BBC Radio 2, BBC Radio 6 Music, BBC Radio 1Xtra, BBC Asian Network and BBC Radio 3 will be hosting shows and broadcasting live from the event. 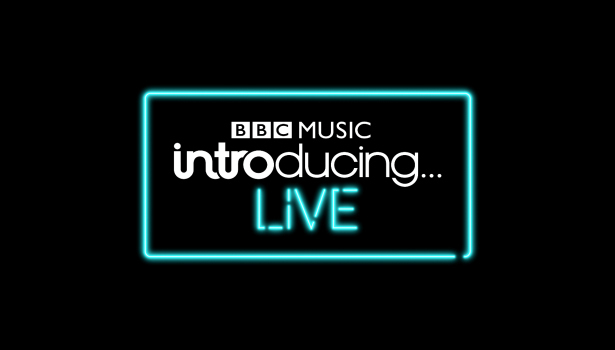 Supported by BBC Music and UK music industry leaders, £10 tickets for BBC Music Introducing LIVE are available now via the website. For those looking to get their foot in the door, expand current knowledge or get into granular details, the rich a varied programme of Panels and Talks will leave no stone unturned. From the broader ‘How To get a Job in The Music Industry’, genre-specifics ‘Grime: The next Chapter’ to lifting the curtain on challenges for artists like ‘Streaming and Playlists Explained’, there will be practical advice and real debate from experts who are the top of their game. Huge industry names who will be imparting their knowledge include Artist Manager Jonathan Dickins(Adele), Glastonbury Organiser Emily Eavis, as well as top music producers and song writing powerhouses Fraser T. Smith (Kano, Stormzy, Adele) Jake Gosling (Ed Sheeran, James Bay, One Direction, All Time Low). Not only that, a special selection of artists themselves such as Deadmau5 ‘In Conversation’ and Example in ‘Bedroom to Ibiza: Making It In Dance Music’ alongside Danny Howard as well of the likes of Jamie Cullum, You Me At Six, Declan McKenna and more will be giving behind the scenes insights to their careers with this unparalleled access over the three day event. There’ll be BBC favourites in the house to meet with attendees and broadcast their hugely popular shows live from the event. BBC Radio 1’s Annie Mac and Huw Stephens, the newly-announced voice of BBC Radio 2 Breakfast Show – Zoe Ball, BBC Radio 6 Music’s Lauren Laverne and Steve Lamacq, BBC Radio 2’s Jamie Cullum and Jo Whiley, BBC Radio 1Xtra’s DJ Target, as well as BBC radio royalty Bob Harris will be in attendance across the three days at Tobacco Dock. A series of live gigs will be taking place in the evenings after each day’s proceedings, the first of which is a sold-out show with Ben Howard on Thursday 8 November. The Devon-born, Brit Award-winning singer has forged his name as a mainstay at of British music. He will be supported by the critically acclaimed folk troubadour Marika Hackman, one of the most exciting and captivating lyricists in the world, whose punk attitude and sincere yet sardonic delivery has seen her on every tastemaker’s list. The world’s biggest names in dance will be in the building when The BBC Radio 1 Rave Lounge takes over for more evening music fun on Friday 9 November. Hosted by DJ and broadcasting legend Annie Mac the Rave Lounge will see Grammy Award-nominated and Juno Award-winning Deadmau5 taking centre stage, the prolific EDM superstar will be followed by London deep house super-producer Duke Dumont, ‘Rinse & Repeat’ hit makers Riton & Kah-Lo as well as BBC DJs and tastemaker extraordinaire Danny Howard and Monki. £15 tickets are on sale now. At the BBC Radio 1Xtra Takeover on Saturday 10 November, DJ Target will close the three days of music discovery at Tobacco Dock. The show will be simulcast live on BBC Radio 1 and BBC Radio 1Xtra where the party will continue exclusively off-air. Announced so far: DJ Target, Chronixx, Geko, Donae’o, Lotto Boyzz, Suspect, Asco, Alicai Harley plus special guests. Tickets for the BBC Radio 1Xtra takeover are £15 and on sale now. Spotify will be opening its proverbial doors to those wanting to get the scoop on the inner workings and how to maximise their success on the service with its Discovery Theatre. Live versions of the platform’s original podcasts such as the incredibly popular ‘Who We Be Talks’, and Secret Genius with very special guests. The Bandstands in association with Sentric Music and powered by Yamaha is the ultimate platform for rising stars to showcase their talent in front of peers and industry experts alike. Up-and-coming artists can apply for their chance to perform at the BBC Music Introducing LIVE Bandstands here. One of the three bandstands will also be an open mic stage, available to artists in attendance, to sign up on the day for a chance to perform. There will also be a UK Music Careers Fair for insider tips from employers and experts in the music world, it’s a must-attend event for future music industry professionals. The Independent Label Market first launched on Soho’s Berwick Street in 2011, becoming somewhat of an institution in London. It comes to Tobacco Dock next month, and founders of the world’s best independent labels will be on hand, selling fresh vinyl produce over the three-day event. BBC Music Introducing LIVE is produced by Get On Vision.